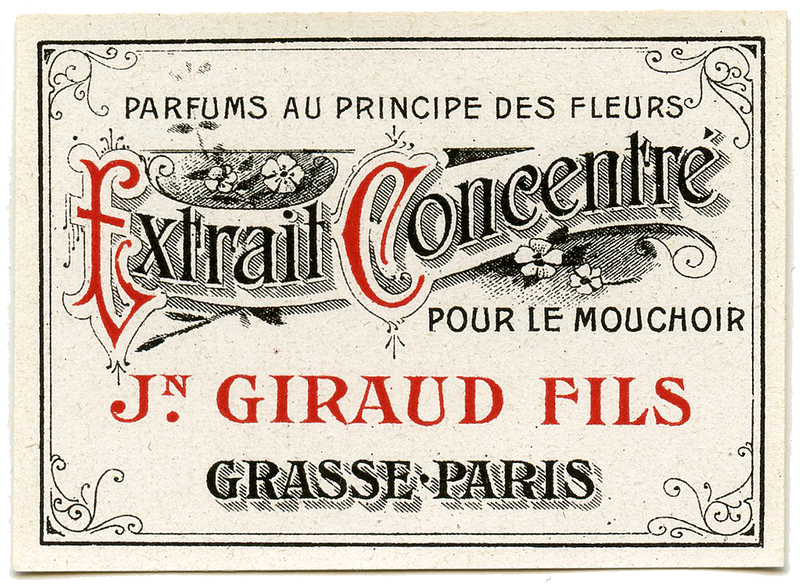 Here’s a rather lovely 19th century French soap advertisement, which is another piece of evidence challenging the (over) accepted wisdom that using too many typefaces in one document doesn’t work. Here we have four typefaces in five lines of text-actually maybe it’s five, we’re not too sure those capitals are actually the same typeface as the other letters in ‘Extrait Concentré’. According to accepted modern ‘good taste’ this would be a recipe for disaster, and yet to our eyes the result is nothing short of a wonderful and pleasing piece of typography. Perhaps the key lies not not so much in the number of typefaces you combine, but how well you choose them? Maybe the suggestion of limited numbers of typefaces is merely a safeguard trying to limit the potential for disaster on behalf of those who are challenged in the taste department? Image by courtesy of ‘The Graphics Fairy’. « Older Post A Countdown…	» Newer Post Imperial Granum?